New build extension to existing Ikea Store. Full hydraulic calculation, design and installation of High Hazard, 12.5mm/min protection. LPCB audited and approved to BSEN12845 including Technical Bulletins. 400 soffit level protection heads. 1000 in-rack protection heads. 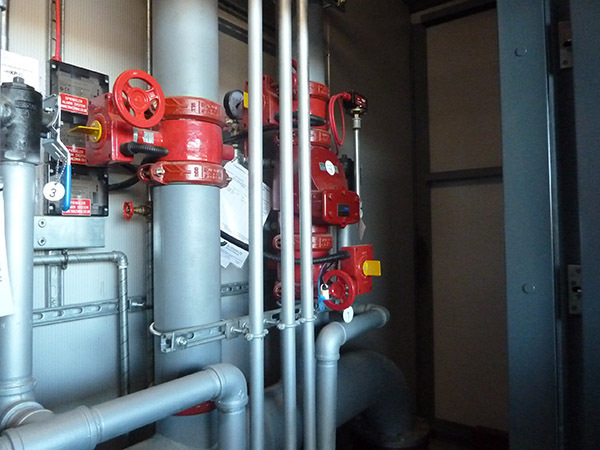 3 remote control valve stations. Ikea store in the Ballymun region of Dublin. 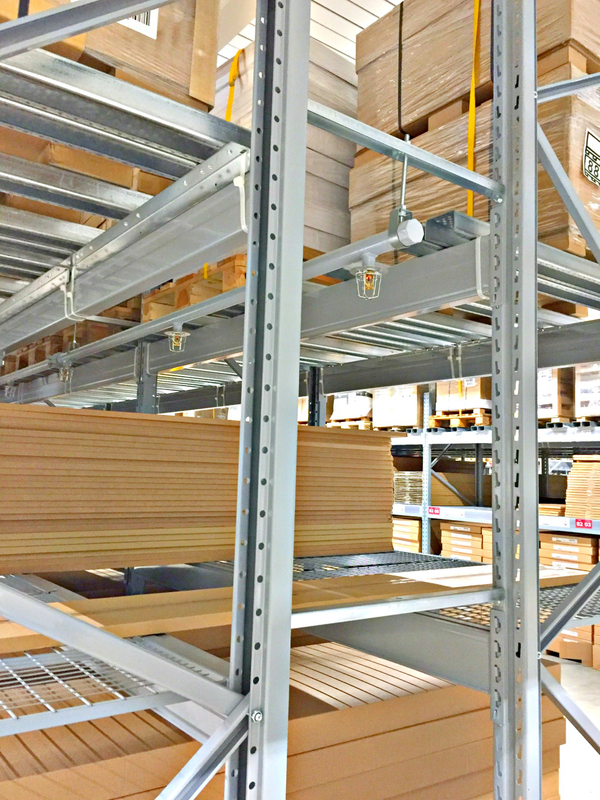 Ikea wished to install a new extension to allow for increased racking storage. 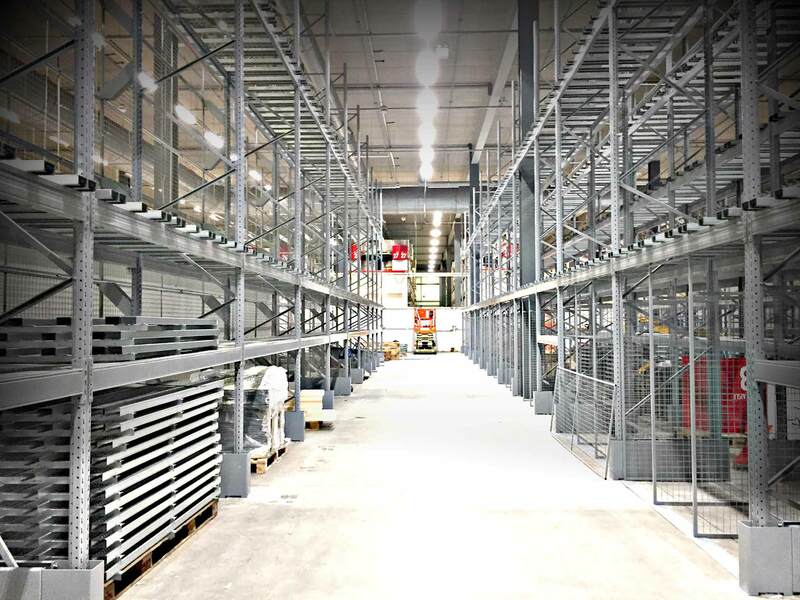 J&J provided a fully hydraulically calculated design that provided protection to the entire new store extension. 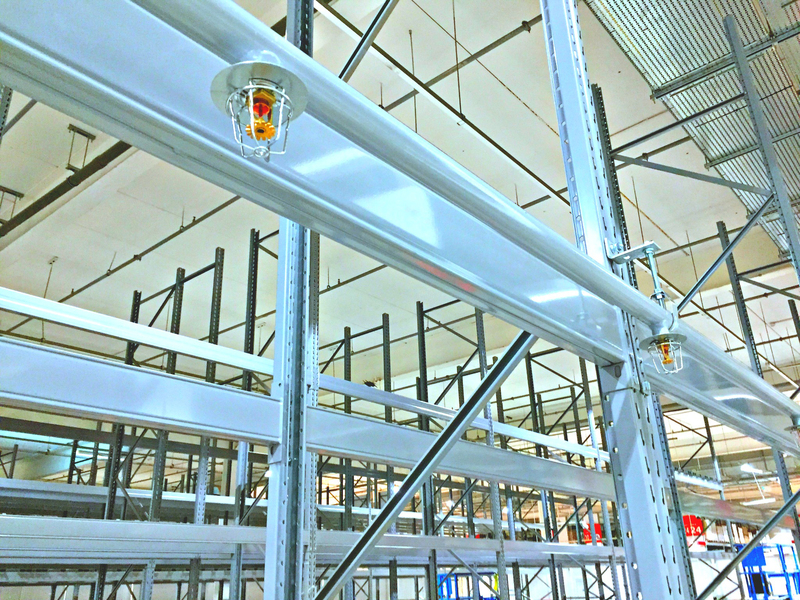 The protection was designed and installed to BS12845 High Protection and included 1,000 in-rack sprinkler heads and 400 high level sprinkler heads. New BS12845 protection to entire extension. 400 High Hazard sprinkler heads. 3 remote control valve sets. Pipework fabricated and painted to suit Ikea grey colour scheme.